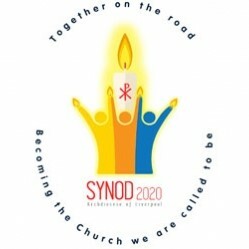 Although many people are eager to get started on the work of Synod 2020, it is apparent that there are also a good many people who not only have not heard of it but don’t know what a Synod is, so I thought I would give you a brief explanation to what a Synod is, what is going to happen with Synod 2020 and why it’s so important to everyone. So, what’s a Synod? Its basically a council where people get together to talk about what matters to them and give their opinions. It’s just a good word for people getting together to talk, and more importantly, to listen. Pope Francis says that the Church in the 3rd millennium should be working in ‘Synodality’, in other words we all need to talk and listen to each other. With that in mind, Archbishop Malcolm has called for a Synod for the Liverpool Archdiocese. So, what does the Archbishop want us to talk about at this Synod? Basically, he wants to get as many opinions as possible from people in the Archdiocese about what gives us joy, causes us concern, the purpose of the church and what we would like to see on the Synod agenda. If the Archbishop could get everyone in the Archdiocese into a large enough venue and ask their opinions he would, but that just isn’t practical, so each parish has their own Synod Representative who, along with the Parish Priest (Fr. Erasmus is also a Synod Representative) will be organising a series of listening and discernment events within the parish. Discernment just means making decisions. Opinions will not only be sought from the people who attend Mass, but we are looking to focus on people who do not attend Mass but are still members of the parish. Everyone’s voice is to be reflected! People have asked “Why does the Archbishop want to know all of this?”. Well, once all the opinions are in, they will be distilled down into themes. Then every theme will be put before the Synod meetings and eventually voted on in 2020. The results of this could form a plan for the Archdiocese for the next 10 years, that is why it is so important to make your voice heard. Someone said to me “but we have until 2020 to do all this don’t we?” and the answer to that is NO! the listening and discernment is to be carried out in a very short time frame between May and June this year. Preparations are already underway. So, what’s happening now? 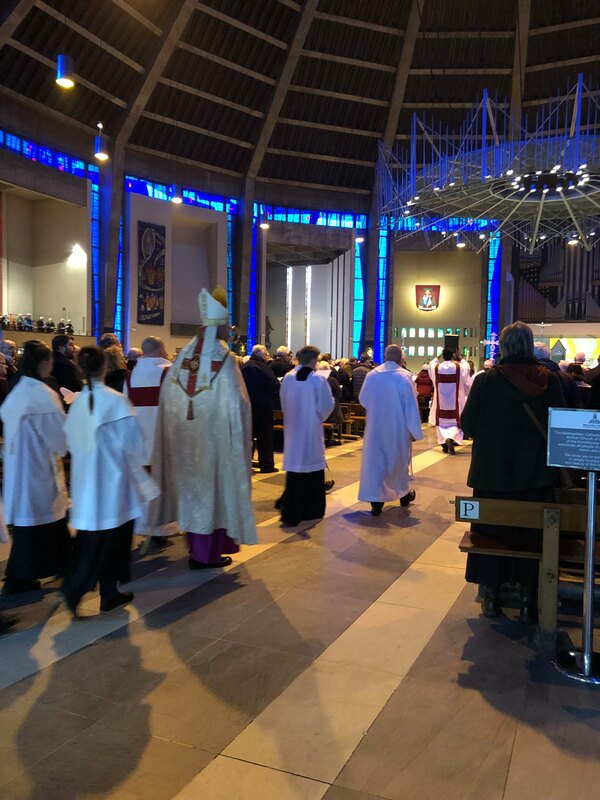 On the 3rd of February 2019 Archbishop Malcolm called the Synod into being at the Metropolitan Cathedral of Christ the King. After that, the Synod Reps attended an initial meeting where we heard Fr. Eamonn Mulcahy CSSp give an inspirational talk about Synods. followed by Professor Stephen Bullivant talking about the Church of England and Wales in the 21st century and concluding with Canon Chris Fallon reflecting on The Situation of the Church in the Archdiocese of Liverpool. These three presentations, giving an overview and providing context for Synod 2020 are available to be viewed and enjoyed by everyone on www.synod2020.co.uk. Currently, the Synod Reps are just completing their latest meeting of Listening and Discernment. It seems odd that we would need to learn how to listen, but it is a skill that has been neglected these days in favour of talking. We will share this skill with you at our meetings. Look out for dates for our parish meetings. If you value the Church and what sort of Church we leave our children then please don’t miss them. They are important. I hope this has given you some more information about what Synod is and what it’s aims are, and assures you that you and your opinions are at the heart of the process. If you have any questions regarding Synod 2020 just ask either me or Fr. Erasmus and we will be glad to help. If you are keen to provide your opinions now, then the four questions that we want your opinions on are on the Synod 2020 website under ‘Our Four Questions’. We ask that you reflect deeply on the questions and pray the Synod prayer for guidance before you complete them. Please keep Synod 2020 in your prayers as we travel together on the road to be the church we were meant to be.